Hwy 168 is divide into 2 portions: The Eastern Sierra (Aspendell, W of Bishop, CA) and the Western Sierra (Shaver/Huntington Lake). The paved route does not connect over the high country peaks in the Sierra Wilderness, and it must be traveled on foot or by horseback, or in winter by snowmobile. WEST SIDE, SHAVER LAKE - Alpine canyons, south of Yosemite National Park, lead east up the hill from Fresno to high elevations past Shaver Lake, CA. A dead end wilderness route goes far into the Sierra Nevada backcountry - nearly 100 miles deep into the mountains (including the narrow, paved, one lane Kaiser Pass). 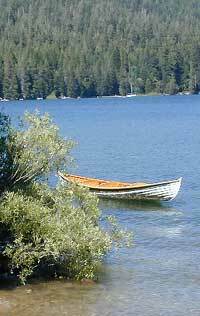 From the Central Valley, passing 2 large alpine lakes, this main roads can get you into the epic, alpine wilderness and the hot springs. Trailheads for Ansel Adams Wilderness & John Muir Wilderness are way back here. Tamarack Ridge is the place for cross country skiing and snowmobilimng can be excellent in a good winter. 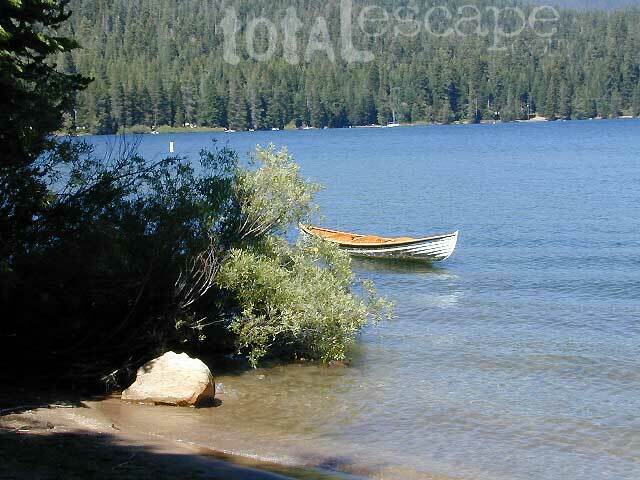 This entire area has many recreation opportunities for both warm weather & snowy winters. EAST SIDE, BISHOP - The Eastern Sierra part of highway 168 centers around the hub of Bishop. West Line Street is highway 168 which heads west into Inyo National Forest, and up to several alpine fishing lakes and campgrounds. South of Bishop, Highway 168 continues east from the town of Big Pine, up to Westgard Pass (7271') and Gilbert Summit (6374') toward the Nevada state line. Ancient Bristlecone Pine Forest is north of the highway, and Death Valley National Park is to the south. This 'north pass' for Saline Valley is off this route. 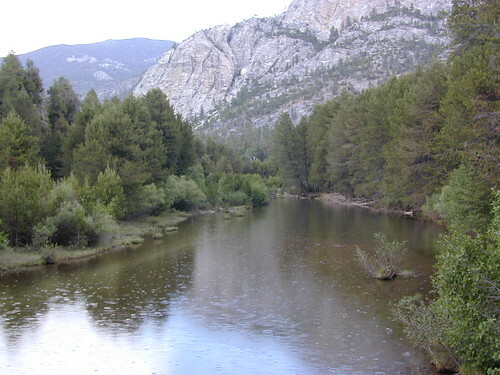 Numerous group camp sites are located before Deep Springs Valley, and Deep Springs College (for public speaking, labor, and self-governance).